I purchased a previous order for my granddaughter as one of her Christmas gifts. She LOVES receiving each package. Will purchase more packages for her and other grandchildren in the future! Make learning fun! I feel “hands on” projects are the best. 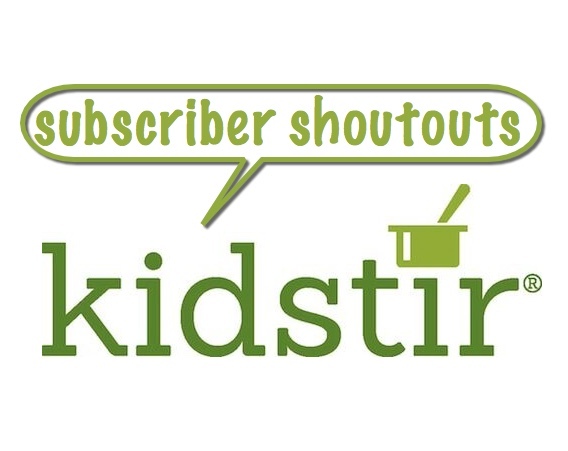 We love Kidstir! My son and I are really enjoying the cooking kits. They are easy to use and the directions are very kid (and busy mom) friendly in their layout and wording. We really enjoy the Kidstir kits. They’re engaging and the perfect level of ease and challenge for my child. Receiving a monthly subscription is something my son loves… from getting it in the mailbox, to doing the activity, to telling or sharing about the activity with others later. It’s helpful tools for me as a mom, as I want my children to be well rounded individuals. I try and be as creative as possible but this has opened the doors for even me to try or spend more time than usual on a particular recipe. Your cooking kits have been an amazing experience for my granddaughter. My daughter loves getting mail… and especially packages! The recipe kits she’s already received have completely turned around a few of the bad behaviors she’s had and has helped her work on following directions, having patience, and committing to a project. Before she would get frustrated after a few minutes and say she couldn’t do it. She gave up. Now, after 2 months of kits she’s so excited to try that she forgets her fears. We have really enjoyed the cooking kits and my son is excited each month to received it! We loved the cooking kits. They were well done and fun for the kids.